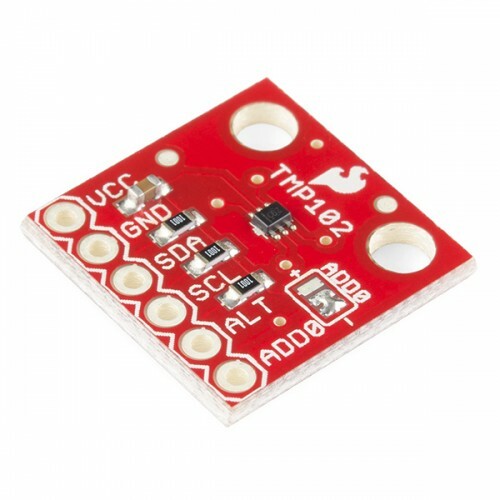 This is a breakout board for the incredibly small TMP102 digital temperature sensor. The TMP102 is a digital sensor (I2C a.k.a. TWI), has a resolution of 0.0625°C, and is accurate up to 0.5°C. This is a very handy sensor that requires a very low-current.